Four of the biggest names in console sales (Best Buy, Amazon.com, GameStop, and Toys R Us) are already sold-out for both the Xbox One and the PS4. So where does that leave you, especially if you’re looking to pre-order either/both as a present for end-of-year holidays? It appears you have five remaining options, plus buying directly from either company. Read on! 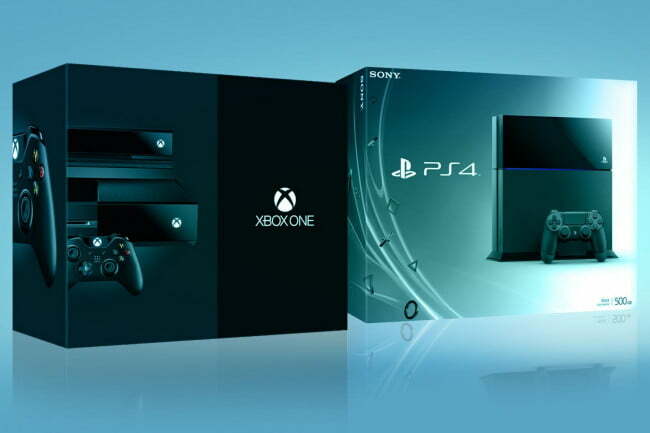 If you are hoping to pre-order a PlayStation 4 or an Xbox One, you might want to hurry. All around the country, major retailers are listing the consoles as “sold-out,” leading up to what is looking more and more like a shortage on launch day. That may be good for Sony and Microsoft (and their stock prices), but it’s bad for a consumer hoping to get their hands on what are shaping up to be two of the hottest items this holiday season. With stores like GameStop and Best Buy both listing Sony and Microsoft’s consoles as sold out, you may have to go a little deeper down the rabbit hole of online shopping leading up to the as yet unannounced launch dates. The PS4 is listed with a generic release date of December 31 (in other words, sometime this year), while the Xbox One is listed by several retailers as November 27. Whatever the exact dates, expect them both to release before the yearly shopping Super Bowl that is Black Friday, which this year lands on November 29. Sony and Microsoft are still hoping to meet all launch day demands, although that probably isn’t going to be possible. At the moment, several stores are still accepting pre-orders but you should expect stock to disappear quickly. We’ll try to keep this list updated throughout the coming months, but don’t be surprised if the stores below sell out, and soon. Fry’s Electronics: The national electronic giant is not offering in-store pickups, but it will ship to you. You will need to pay shipping, so factor that into your budget. There is also a limit of one PS4 and Xbox One per household. Kmart: The PS4 and Xbox One are both available for pre-order, and both are available for free shipping. As with most retailers, there is a limit of one per household. Sears: Although not generally thought of as an electronic store, Sears has both the PS4 and Xbox One for pre-order, along with all the accessories and launch day titles announced. Free shipping is available, and there is a limit one per household. Target: As with most stores, Target is not offering in-store pickup, but it is offering free shipping. Target is also offering a 2-year warrant for $49.99, which covers all repairs, including damage from accidents like dropping it. The plan will also cover up to five games purchased (from Target) during that time frame. The PS4 and Xbox One currently ship with a one-year limited warranty, so this might be worth your consideration. Limit one per household. Walmart: Walmart is the largest video game seller in the world, so you can expect two things: one, they will have a huge allotment from both Sony and Microsoft; two, they will likely sell through their pre-orders quickly. You can also add a three-year warranty, which isn’t quite as comprehensive as Target’s (it doesn’t cover accidental damage beyond wear and tear), but it is cheaper at $44 and lasts a year longer. It is also offering free shipping. No limit on the number of units you can buy. Sony Store: Sony’s own store is offering the PS4, of course, along with free shipping and no apparent limit on the number of units you can pick up. You can also finance directly through Sony. Microsoft Store: You can purchase an Xbox One from Microsoft’s own store, and that also extends to the Xbox 360′s dashboard. If you are an Xbox 360 user, just connect online and look for the Xbox One icon, and you can pre-order directly from there. Free shipping, and a limit of one per household.